Flinterstar III BV, the owner of the Dutch freighter MV Flinterstar, has entered into a contract with a consortium of Belgian marine contractors to remove the wreck of the vessel which sank in the North Sea off the coast of Zeebrugge following a collision last October. The consortium will be headed by SCALDIS, a joint company of DEME, Jan De Nul and Herbosch-Kiere. Bart Otto, Director of Flinterstar lll BV, said: “Our primary concern has been that the wreck removal operation should be undertaken in the safest and most environmentally sensitive manner possible. With that in mind, we have been impressed throughout the tender process with the professional approach adopted by SCALDIS and their joint venture partners. We are confident that now the operation has been placed in their capable hands, it will go forward smoothly and be completed on schedule this summer. Now the contract has been awarded, SCALDIS will start the detailed preparation and mobilization phases in order to commence on-site operations as quickly as possible in the coming weeks. At present, although the wreck is upright on the seabed, it is separated into two sections. In brief, the overall methodology is based on lifting the two sections from the seabed and placing each section onto a barge. It is SCALDIS’ intention to first remove the cargo. Simultaneously, the lifting points and/or lifting chains/slings will be installed underneath the wreck. 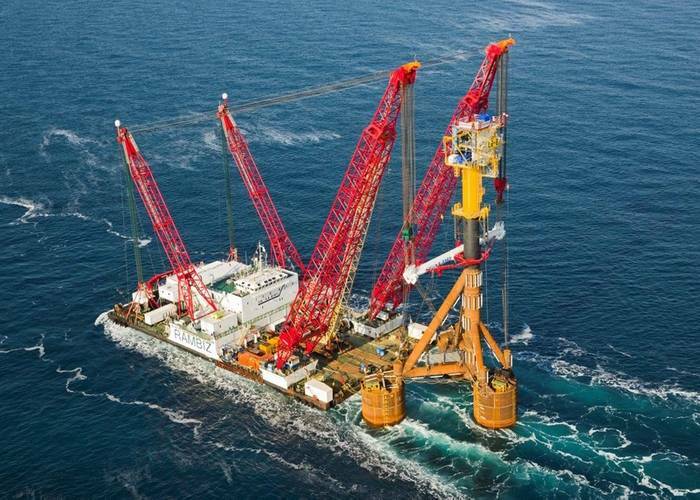 Each wreck section will be lifted by SCALDIS’ powerful, 3300 tonne capacity Rambiz heavy lift vessel and positioned onto a transport barge then transported for appropriate disposal. 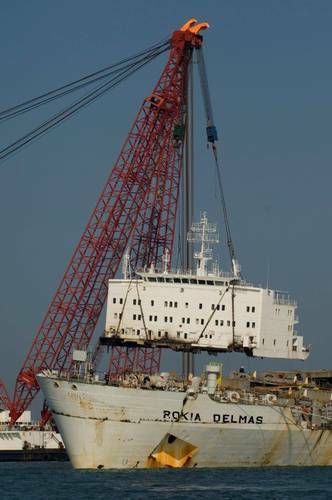 It is anticipated the wreck removal operation will be completed this summer - weather permitting. ‘Flinterstar’ is a 2002 built Dutch flagged cargo/container ship, which had a collision with LNG tanker mv “Al Oraiq” in the buoyed fairway “Scheur, in the approaches to Zeebrugge, in the early morning hours of October 6th 2015. Shortly after the collision MV “Flinterstar’, partly loaded with construction steel and crane parts, grounded outside the channel, to the southeast of buoy “Scheur 3. 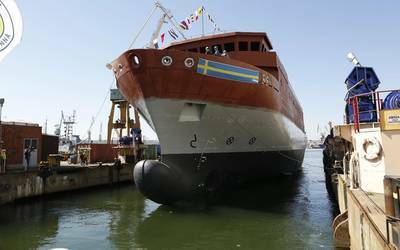 Since November 2nd, a “guard vessel”, operated by the Authorities, has remained permanently on scene. In January 2016, the Authorities issued a wreck removal order, as the vessel was perceived to present a potential danger to shipping and the environment.